SHUMIRA is a word from the Shona Language (mainly spoken in Zimbabwe) meaning "Worship". Shumira is the process through which we ritualise our harmony with MWARI Nyakusika (The Creator, Universal Life Force, All in All), Mudzimu Mukuru (Our Great Ancestors), and ZWIBATO (The Elements), the forces of Mother Nature. 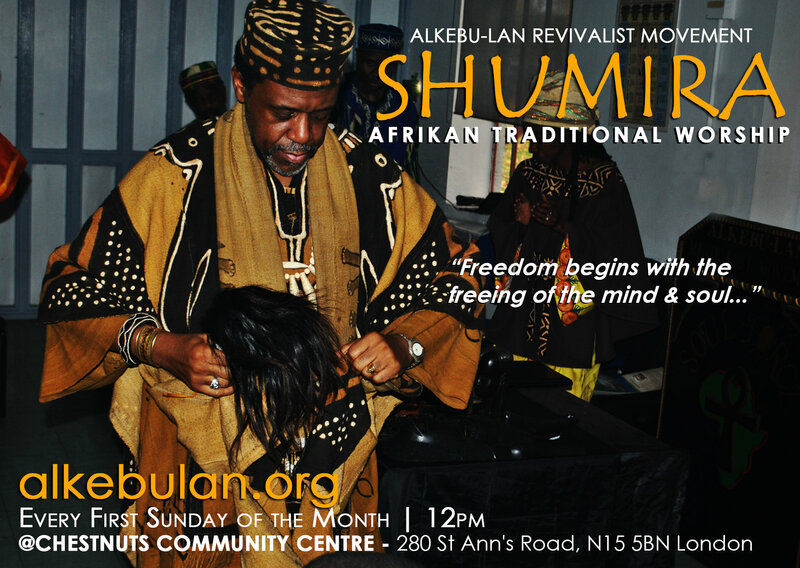 We invite you to join us as we explore Afrikan Spirituality in practice and build a foundation for Afrikan Culture as it informs our political, economic & social development. In light of his assassination on 21/02/65, we commemorate the life, legacy and ultimate sacrifice of the Eminent Prophet and King Omowale Malcolm X. In advance of our annual observance on the 24th of this month (https://www.alkebulan.org/2019/01/26/omowale-malcolm-x-observance-24th-february-2019/) we will launch the season with a Malcolm X themed Shumira, acknowledging his role as an indefatigable warrior for Afrikan liberation – culturally, economically and politically. For Omowale Malcolm X Shumira, we attire in Black and/or White in recognition of his prophetic capacity to “make it plain” - in black and white.